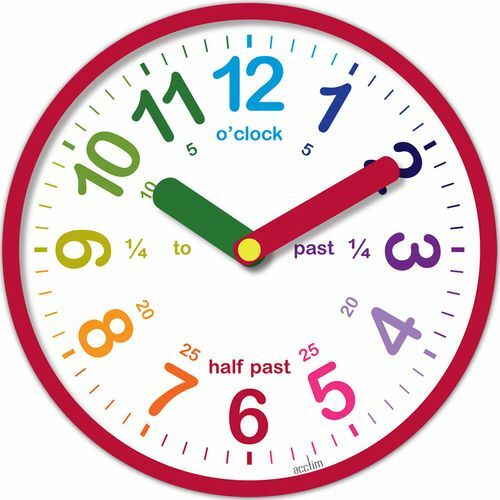 Time Teaching Clock with brightly coloured dial and easy to read hands. Ideal in the classroom and home as an attractive and fun way to teach young children to tell the time. Each numeral differently coloured to aid learning.